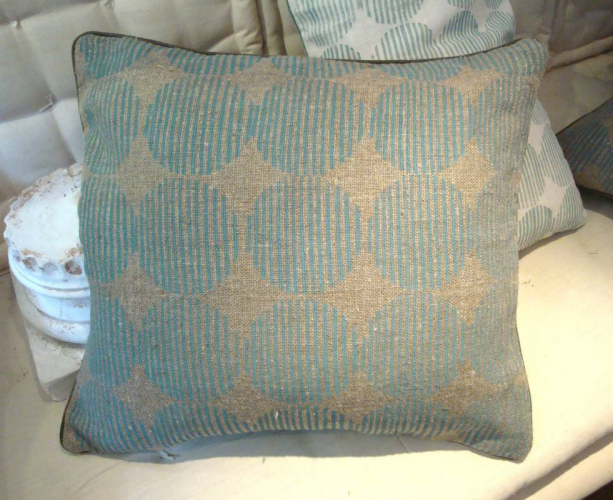 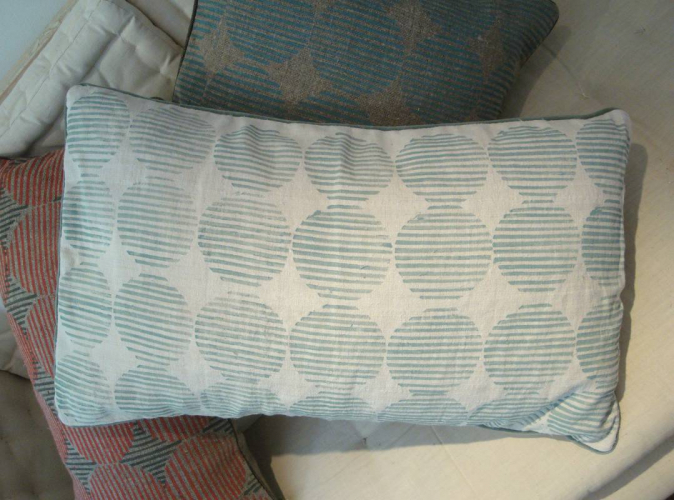 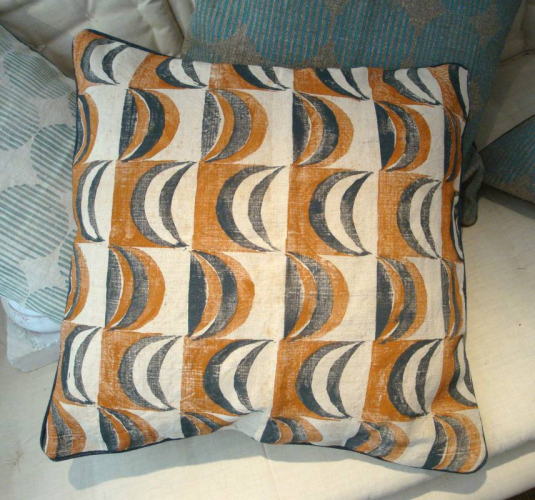 We have just got this great range of Geometric Cushions made by a very talented friend, Lin Connor. 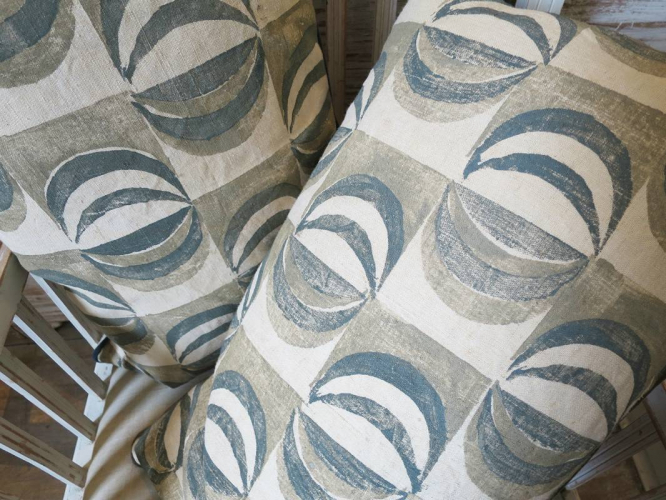 Lin sources wonderful old linens and hemp cloth in France and has designed these modern interpretations of classic geometric designs which she prints onto these fabrics - the texture of the old linens gives them a homespun feel but the designs are very contemporary. 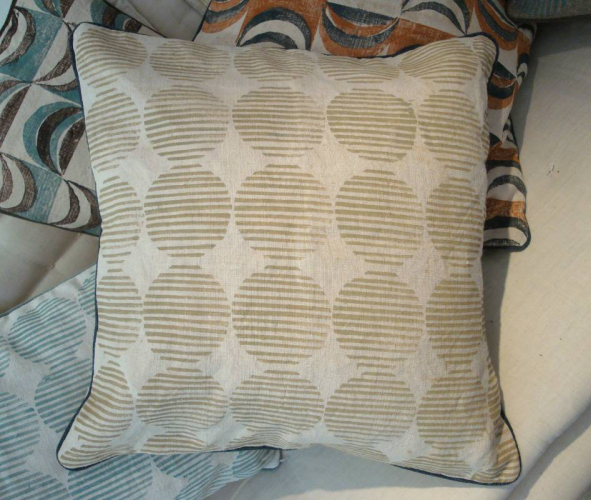 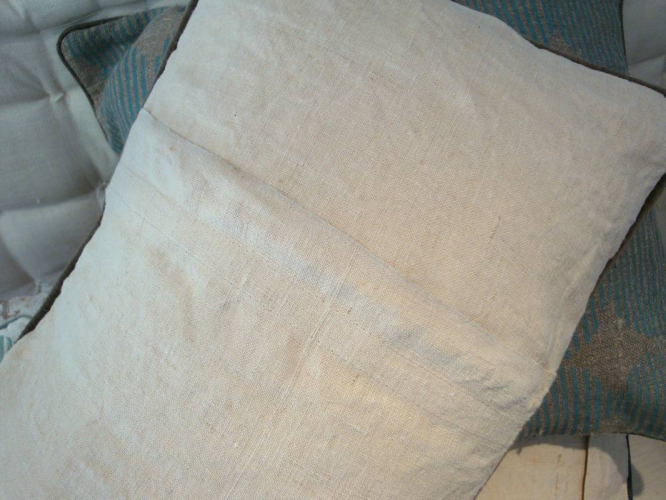 Lin also hand makes the cushions themselves and does a superb and professional job of them - simple piping around the edge finishes them off with a sophisticated flourish - velcro is used for the closures which is neat and flat. 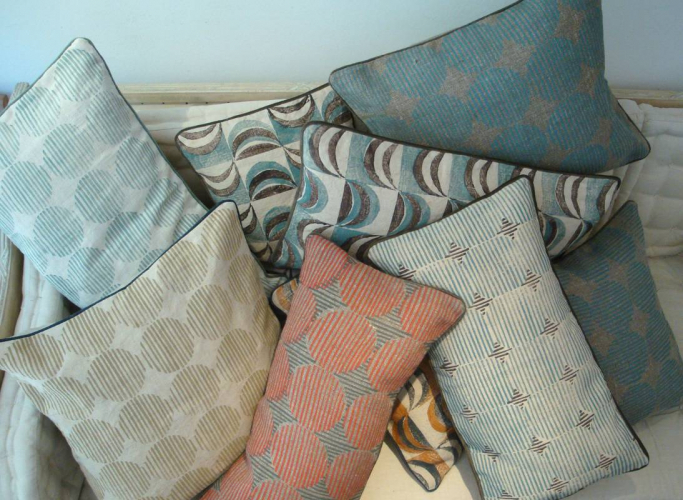 This new and unique range of cushions are stunning in a modern setting with all modern furniture - adding a touch of individuality to what can sometimes be clinically modern designs. 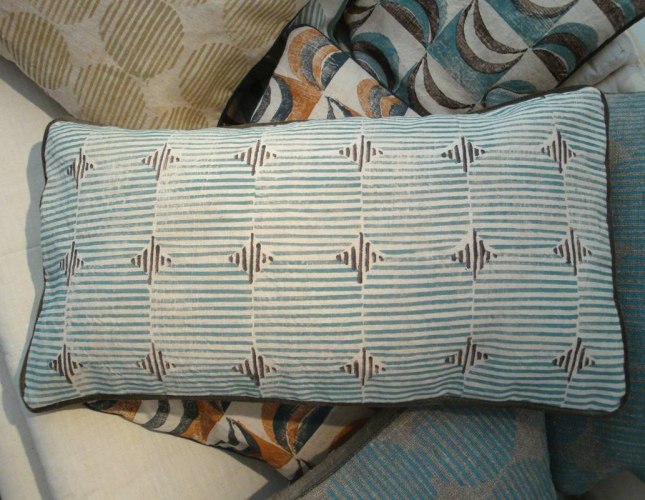 At the same time they are equally valid on an antique buttoned sofa or big squashy 3-seater in a more traditional situations thanks to the muted tones and base material on which they are printed. 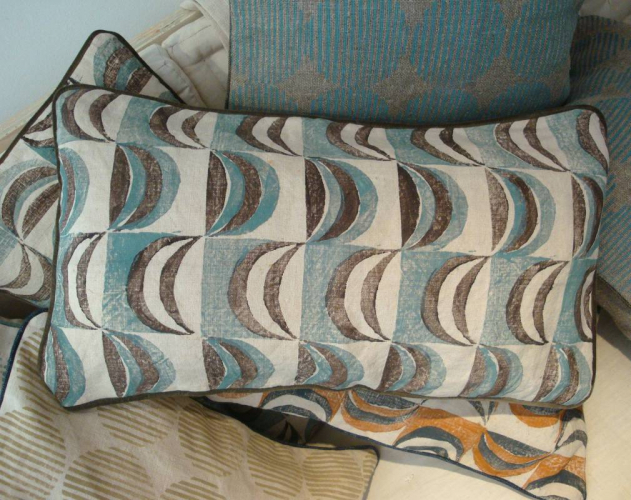 The colours Lin uses are are carefully chosen and quite subtle which contrasts so nicely with the strong geometric elements of the patterns. 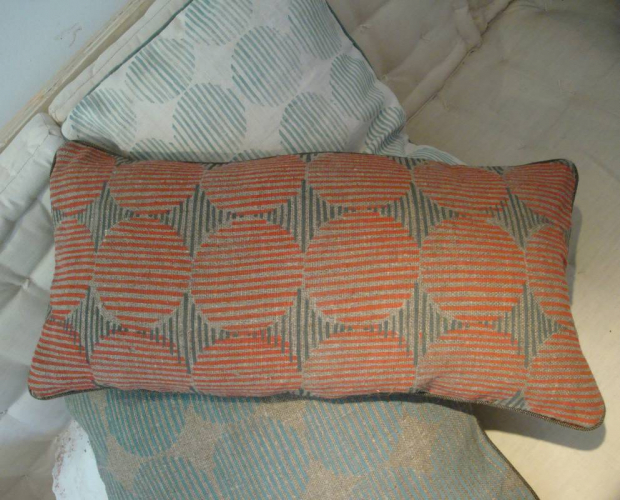 Patterns are simple yet creative and are called things like Octagon, Curve, Triangle, Sphere, Hexagon and Polygon - all reminiscent of our bygone school days!